Ever since I left my corporate job to work for myself, I’ve started cooking WAY more. I’m home during the day, making it easy to meal prep, start on recipes early, and defrost or marinate food as needed. I cook at least 4 times a week, and try to find recipes that yield lots of tasty leftovers so that we’re set for lunches without extra work. Since I’m often asked where a recipe is from, in today’s post I wanted to share some of the best recipe sites I’ve found. These are the standbys I turn to week after week when I’m looking for solid meal ideas. 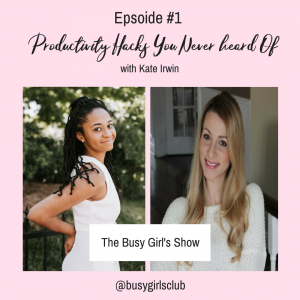 If you do a look of cooking yourself or are just looking to build your recipe repertoire, I’d recommend bookmarking these sites. I’ve been making recipes from AllRecipes.com for years, and for good reason. They have a HUGE range of recipes, and great comments from readers which are perfect for learning about tweaks and shortcuts. But my favourite thing about the site is how many reviews they have for each recipe. 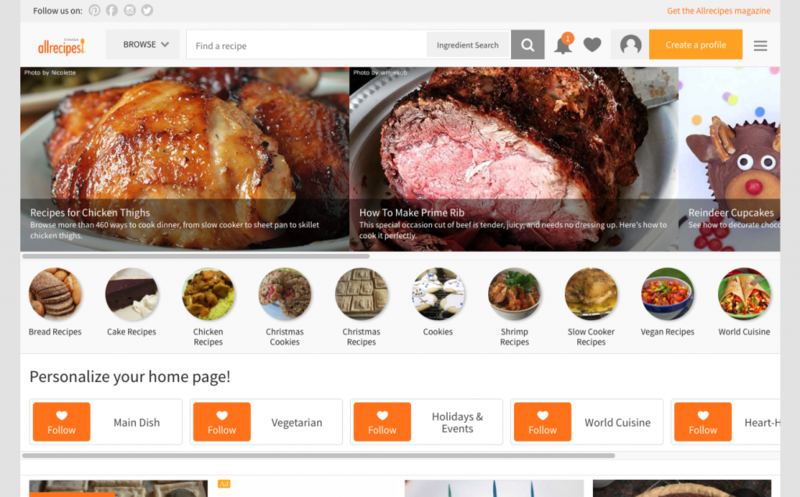 This makes it easy to quickly find the top recipes, which often end up being the ones I come back to again and again. For example, let’s say I wanted to bake some peanut butter cookies. I would search for those and then sort by “Popular” to see the recipes with the most reviews. Some have 2,000 reviews which is insane! And I can quickly see how many stars they have. This is a great way of finding tried-and-true recipes. Check out All Recipes here. 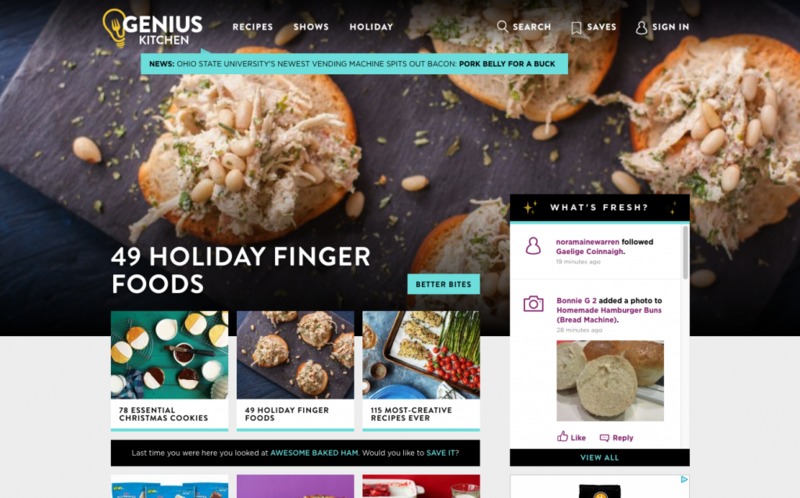 Like AllRecipes.com, GeniusKitchen.com (formerly Food.com) has recipes from chefs (and home chefs!) all over the world, so it’s extremely comprehensive. Recipes generally have fewer reviews (in the hundreds vs. the thousands), but it’s still a fantastic way to browse and sort options. They also have a Top 50 Recipes round up with their most popular recipes which is an amazing resource. 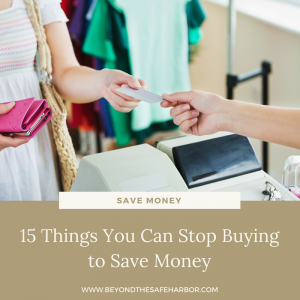 I like skimming it to get ideas for meals to make. Check out Genius Kitchen here. Okay, so Pinterest isn’t exactly a recipe site, but it’s one of the best resources I’ve found for meal ideas and recipes. 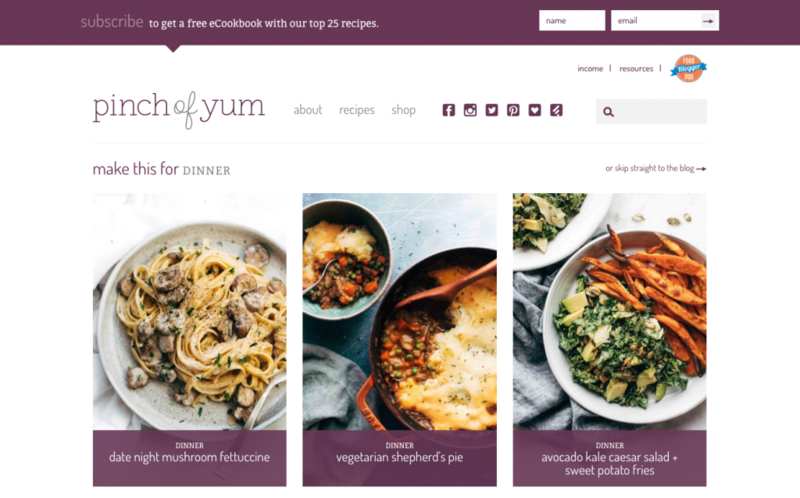 Because it produces search results that are highly visual, it makes it easy to quickly browse and find recipes to make versus scrolling through pages on a recipe site or blog. 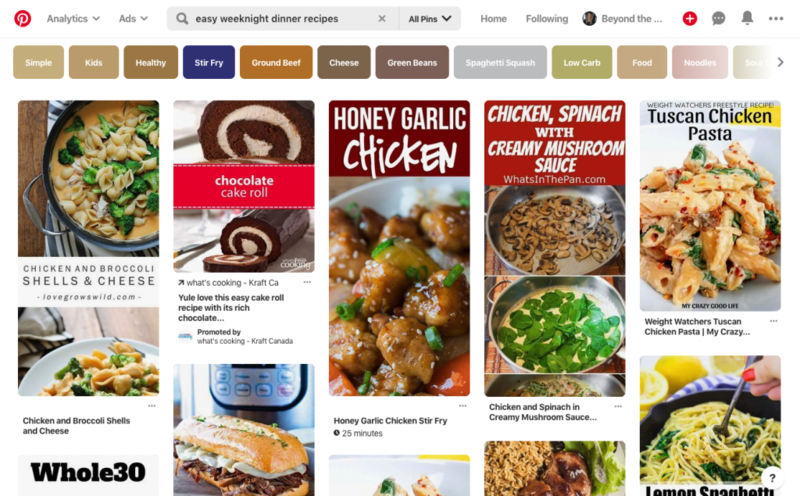 When it comes to searching for recipes on Pinterest, I typically search for something specific like “easy weeknight dinner recipes” or “crockpot chicken recipes”. I can then scroll through the options and quickly find something that looks good. I’ll then head to that recipe site or blog, check the reviews, look at the ingredient list, and decide whether to make it. 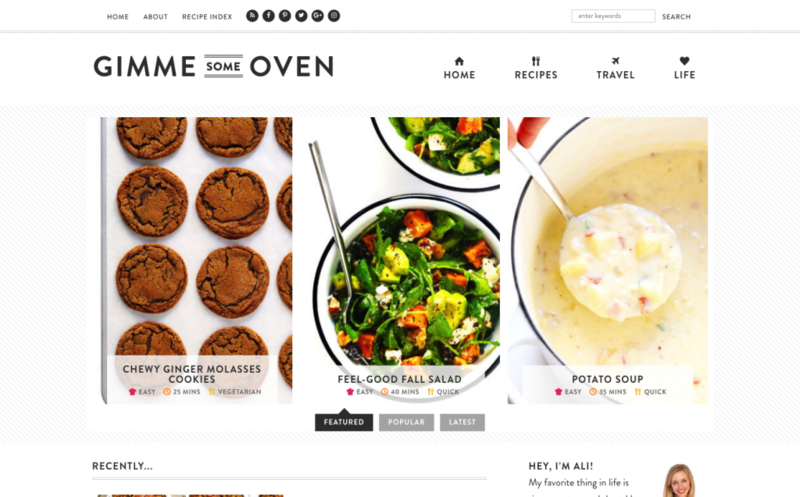 When it comes to food blogs, Gimme Some Oven is one of my favourites. Not only are the recipes delicious with beautiful photos, but they are incredibly easy to follow with clear instructions and information. Some of my favourites are their Chicken Enchiladas with Red Enchilada Sauce which are incredible and perfect as leftovers. Gimme Some Oven is also fun to follow on Instagram. Their “How To Tuesday” series is always super informative, and they have an amazing knack for making complicated-seeming recipes easy to make. Check out Gimme Some Oven here. Another one of my long-time favourite food blogs is Pinch of Yum. 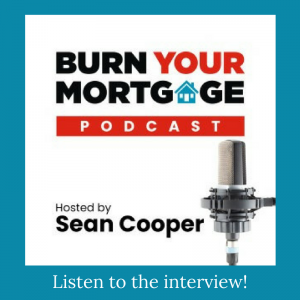 Their recipes are always winners, and I love the personality injected into their blog posts. Some of my favourite recipes from them are their Creamy Avocado Dip and Spicy Sesame Zoodles with Crispy Tofu. They also have an AMAZING chocolate chip cookie recipe I tried a few weeks ago! Check out Pinch of Yum here. 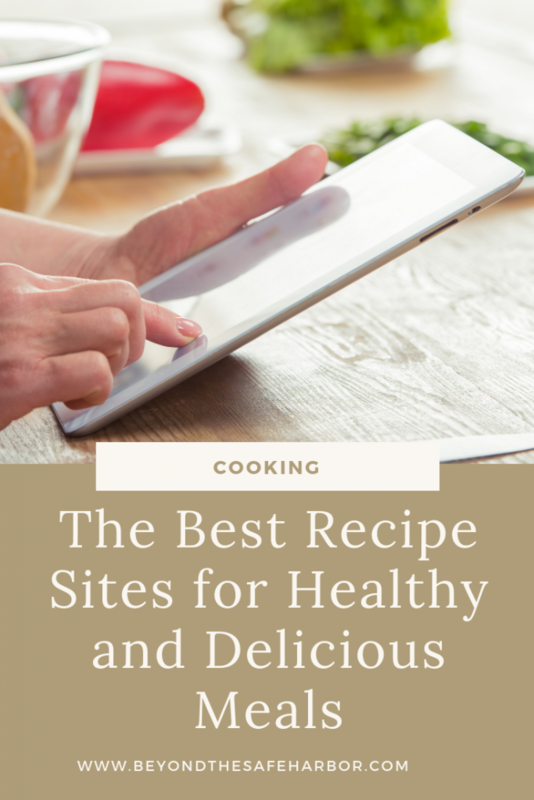 Those are my 5 most-referenced sites for incredible recipes. What are your go-tos? I’d love to hear them! Let me know in a comment below. And if you check out any of these sites, let me know what you make! Want to Start Cooking? Here are 3 Easy Ways to Learn.